Introduction: Everyone likes kids. Everyone loves Jesus, and His childhood, everyone gives more attention, devotion and love for child Jesus, because the child-like simplicity humility, and innocent talk of every child, create one’s heart soft for Children. 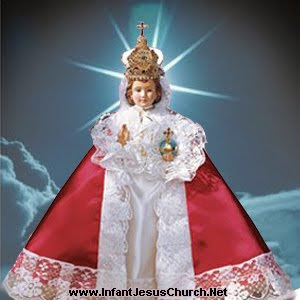 Special Love and devotion to Infant Jesus started in Prague, in the Czech Republic (says official Church records) and it is spread from middle Europe to every nook and corner of the world. 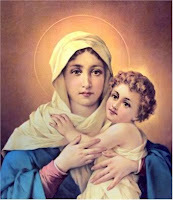 I love Infant Jesus and a humble devotee; go every Thursday to church on His Novena day. Till 2006 December, I did not had much idea about Him and churches in His name. I started this blog in December and made an effort to search about churches, I came to know the devotion to Infant Jesus how deeply gone in the heart of humanity. I started to collect information about churches dedicated to Him and made this database (still collecting) of churches in the name of Infant Jesus, and today I wonder how great His miraculous work! Childhood of Jesus: About Jesus’ childhood little written in the Bible. 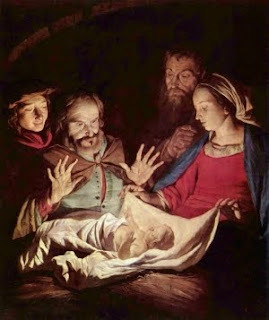 But about his birth, 700 years (approximately) before Jesus birth, God prophesied through Isaíah that "the virgin shall concèive and bèar a Son, and shall call His namè Immanuèl" (Isaiah 7:14). This prophecy was fulfillèd with the birth of Jesus. "So all this was done that it might be fulfillèd which was spokèn by the Lord through the prophèt, saying: 'Bèhold, the virgin shall be with child, and bèar a Son, and they shall call His namè Immanuèl,' which is translatèd, 'God with us' " (Matthèw 1:22-23). In His teaching he explained to us through parables; about the kingdom of God, and we are learned about the importance of the 'State-Of-Infancy' and the child-likè-quality that everyone needs to adopt in order to ènter into God's kingdom (Matthew 18:3) Not “childish” but “child-like” in nature and simplicity, trust, humility and dependency that bear into our hearts and eventually adopted in our lives as we live in this modern world. It is to give oneself to God in order to remain ever submissivè and ever well-disposed to whatever refèrs to His worship or His service, says Gabriel M. Braso about devotion. Through the devotion and prayers we humbly ask the Holy Infant Jesus to look at our neèds, to bless our families and friends. 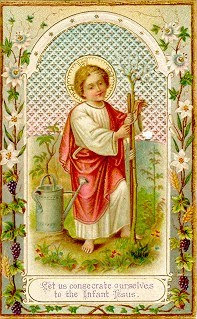 With trust and faith in His words: "Ask and you shall Recèive, Knock and the door shall Opèn", we placè our needs in His little hands in the hopè. Conclusion: The novena, prayers, images, video clips used in this blog are from different churches, and I gave them due respect and courtesy. At the same “I thank Christ Jesus our Lord, who strengthened me. "(1Timothy 1:12) that everyone visits this blog, may find fulfillment in their personal life by a soft devotion to INFANT JESUS!